We practice solution-focused hypnotherapy which means that we establish your goals from the start and work towards resolving situations as quickly as possible – sometimes in a single session. On average though, most situations need around 3-6 sessions to find resolution; for smokers it’s generally 1 specialized 2-hour session with the possibility of a booster. Above all, our emphasis is on creating beneficial change rather than endlessly discussing old habits or past mistakes. 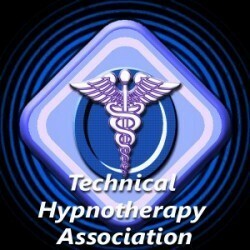 How long does it take to work on an issue using hypnotherapy? We have 12 years of information on which to draw on. This gives us a pretty clear idea of how long an issue takes to work on - though of course this is really just a guideline. Typically, based on past experience, we can estimate the number of sessions required for the following categories. *This is based on 5 years of Vancouver Hypnotherapy data working with clients presenting with these issues. It should not be taken as a guarantee nor limitation but purely as a guideline based on past experience. Of course, we are able to work with many issues outside this list. Please don’t hesitate to contact us if your individual needs aren’t addressed in the categories above and we would be happy to discuss how hypnotherapy could be beneficial for you.